Despite the obvious improvement in electricity supply recently, candle production business has not been affected greatly. This is because candle is not just used for illumination; it is also used as an article of prayer and for decorations. 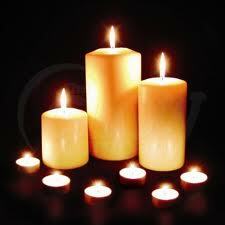 Candle production business is a very easy business and can be started on a small scale. You don’t need to build a factory for a start, your backyard is just enough, and with a very little start-up capital, you are on the go. There is no doubt that there is great business opportunity in candle production and distribution and that’s why I have decided to show you the step by step method of candle production. You don’t need to pay for any seminar to learn it because it is very simple. Let’s get started right away. Thread (wick): this is the thread like component of the candle which enables it to be lit. 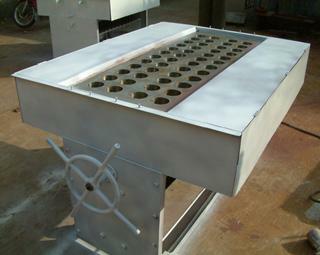 For small scale production, the only important component among all the above listed equipment is the candle mould. The candle mould is the major equipment for candle production and cannot be done without. An average candle mould sells for between N35,000 and N40,000. The price is expected to fall over the next few years. For those of you who have never seen a candle mould before, the picture below is a typical standard candle mould for large scale production. The much simpler and locally made ones for small scale production are also available in the market. Step1: chop the candle wax into smaller pieces and pour it into the stainless steel or galvanized container. Step2: place the container on the burner and allow the candle wax to melt, then add stearic acid and mix properly. Step4: pour the melted wax into the candle mould and allow the candle wax to solidify. Step5: pour cold water to circulate round the bars of the mould to allow for fast solidification, and then allow the water to drain out through the outlet. Step6: to remove the candles produced, pour hot water to circulate round the bars of the mould so that the candles can now be easily removed and packaged. Very nice blog, full of info about business and earnings...your blog is great Boss. Thanks for the great teaching. i will also like to know where to get the candle mould in Nigeria. i will also appreciate more small start up biz. Thanks,I love your post. It has helped to clarify everything about candle production. I appreciate your information about candle making you were just detailed about it I love that you didn't hid any thing at all .But how can I get the mould? Tanks for this but how Stearic acid to the candle wax should one mix. Thanks awaiting your response.